Rank: #5 out of 620. Rank: #1 out of 620. This 3rd generation X-Ice winter tire provides the necessary traction to safely overcome extreme winter conditions featuring Cross Z Sipes , Micro-Pumps, and FleX-Ice compound. The MICHELIN X-Ice Xi3 tire provides winter performance with MICHELIN MaxTouch Construction which features a unique contact patch shape - maximizing even and longer tread life. The MICHELIN X-Ice Xi3 is also designed to be environmentally friendly to help reduce fuel consumption in addition to having excellent winter grip and long lasting tread life. no data Know this info? Contribute! 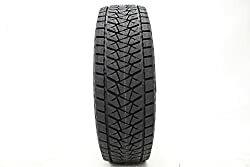 Bridgestone Blizzak DM V2 are a very popular and one of the most expensive options. 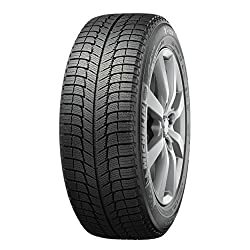 They're in the top 3 bestselling snow tires and have dozens of popular alternatives in the same price range, such as Hankook iPike RW11 275/60R20 114T or Continental WinterContact SI 225/45R17 . Bridgestone Blizzak DM V2 are $89.29 more expensive than average snow tires ($133.81). Michelin X-Ice are a top selling option on the higher end of the price range. They're a #1 bestseller in snow tires category and have dozens of popular alternatives in the same price range, such as Cooper Discoverer M+S 255/70R17 or Bridgestone Blizzak DM-V2 265/70R16 . Michelin X-Ice are $31.64 more expensive than the average snow tires ($133.81).